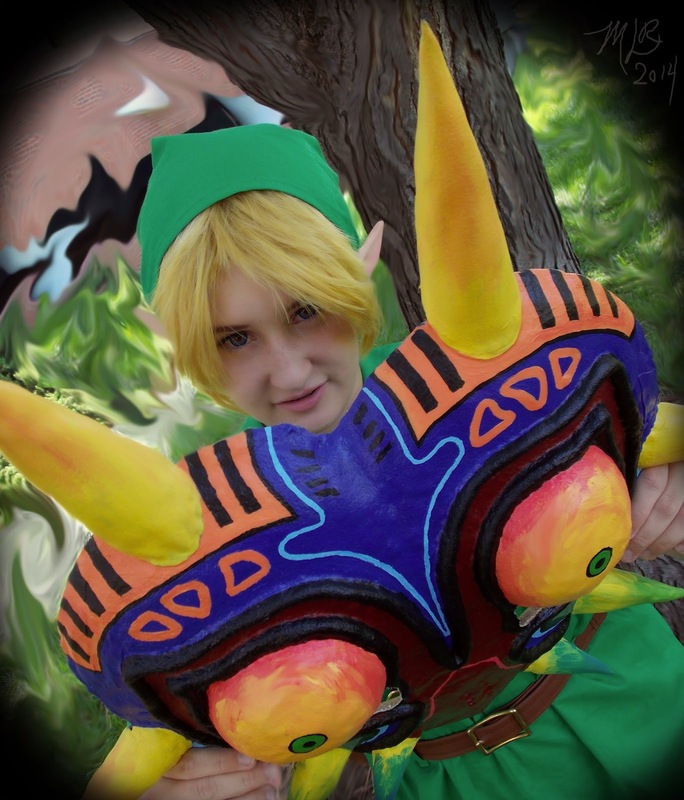 Rou as Skull Kid and Squats as Link. they stuck like Velcro to the tree branches!! 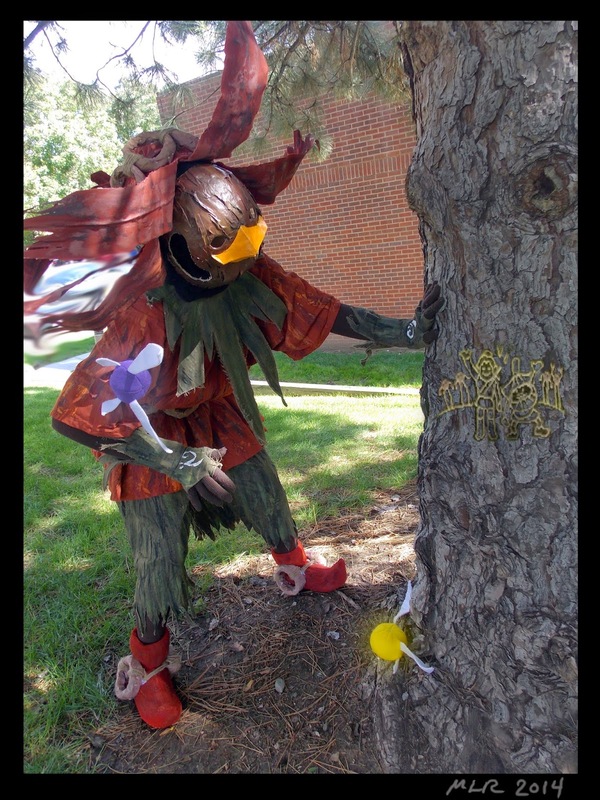 Squats started cosplaying in 2012 as Dave from the web-comic, Homestuck, when she went to an anime meet up at the mall. She fell in love with cosplay and has been going strong ever since. Rou started cosplaying this year as Krista from the popular series Attack on Titan. Squats introduced her to cosplay by giving her the signature jacket from the series. 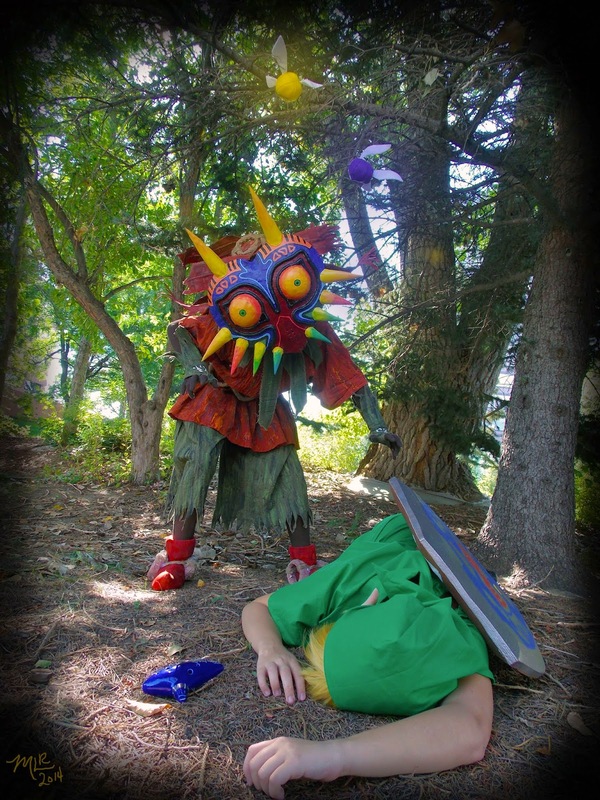 Together they decided to compete for the first time at NDK 2014 as Link and Skull Kid from the awesome game, Majora's Mask. I am very happy they said yes to coming out and being a part of a small photo shoot. I then had the idea to ask them to be the perfect Halloween month cosplayer feature. Items made by Rou and Squats. Rou made the masks out of Worbla. The fairies are made by Rou and are soft and have bells inside! 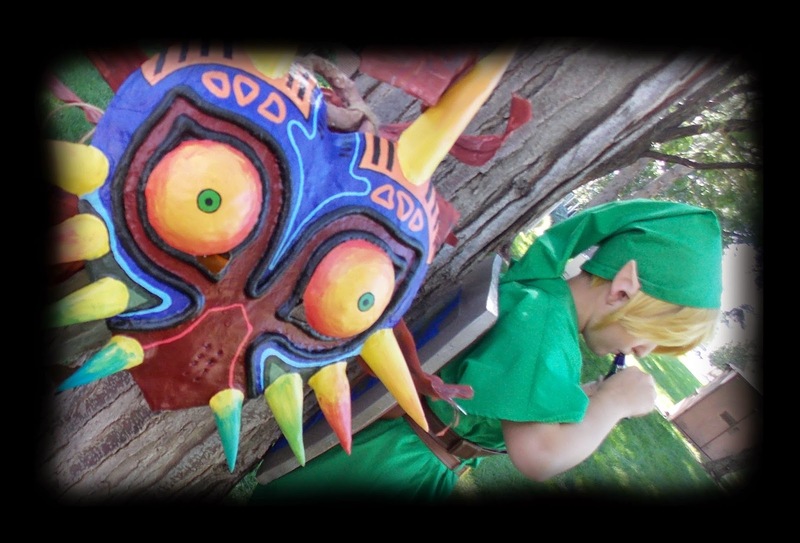 Majora's Mask with magnets. She wears two masks at once. What is your favorite part about cosplay? Squats: Probably the crowd and the audience. It is uplifting and raises your spirits. Its like, "Yeah! People like this stuff!" Rou: Yeah, the reaction of people is really nice. 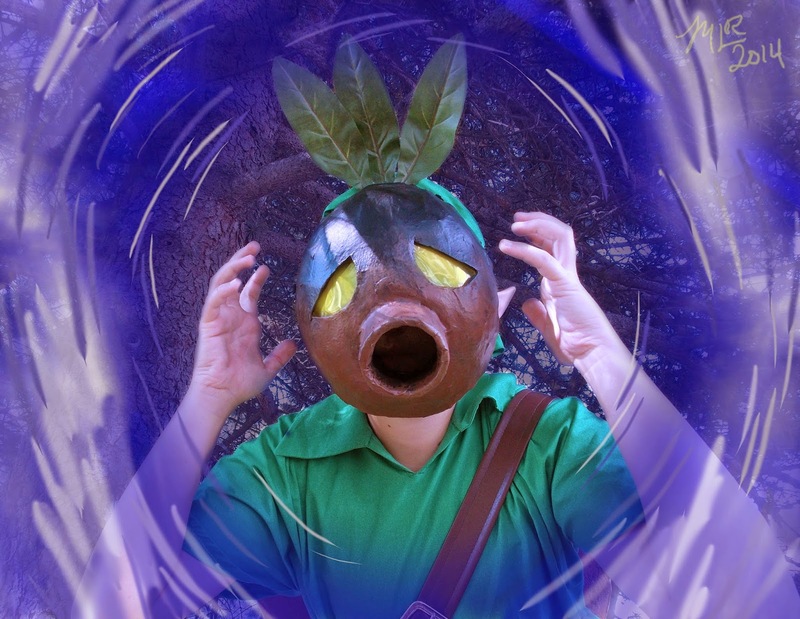 I didn't know what people would think of this [Majora's Mask cosplay] but then I wore this at comic con people just loved it. And it was really awesome to be recognized for that. It is just so fun to make it. It kills you but it is just so fun! to detail and fine skills to create. Both of you are still in high school. What do your friends think about you and cosplay? Rou: My friends accept but they think I am insane for all the work I put into it and how much money I spend on it. They are like, "Okay all that stuff is cool. I wanna see it, but your're insane." Squats: Most of my high school friends I actually got into it when I met them. I recently switched schools from [Rous'] school to my new school. So all my school friends are complete dweebs and they cosplay now because I cosplay with them. 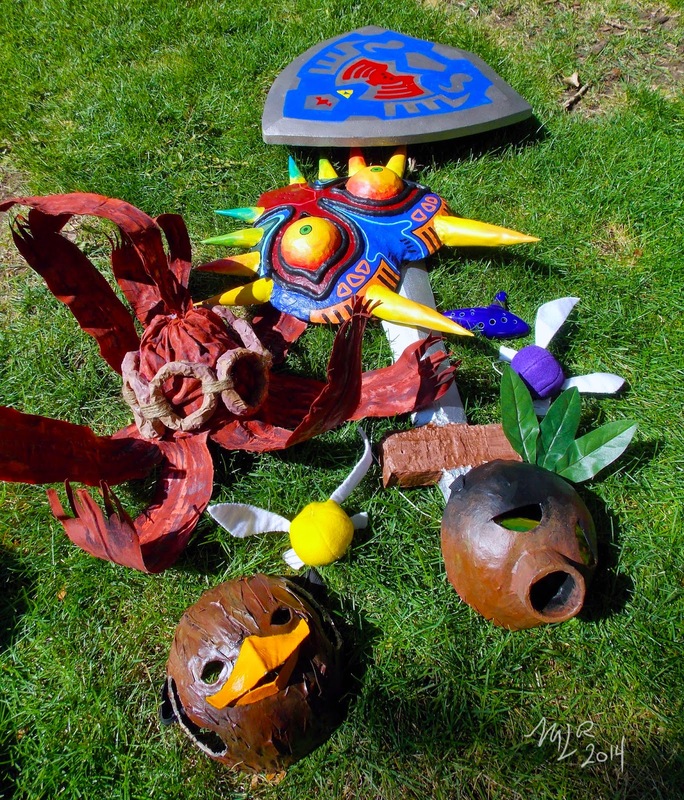 Here you can the Skull Kid Mask. This is probably one of my favorite parts of the game. So Rou, you are graduating and hoping to go out of state for college and you want to go to Japan and work there eventually. What kind of career are you aiming for and why? Squats, what are your future plans? Squats: I want to go to college here [Colorado] but I'm with Rou. 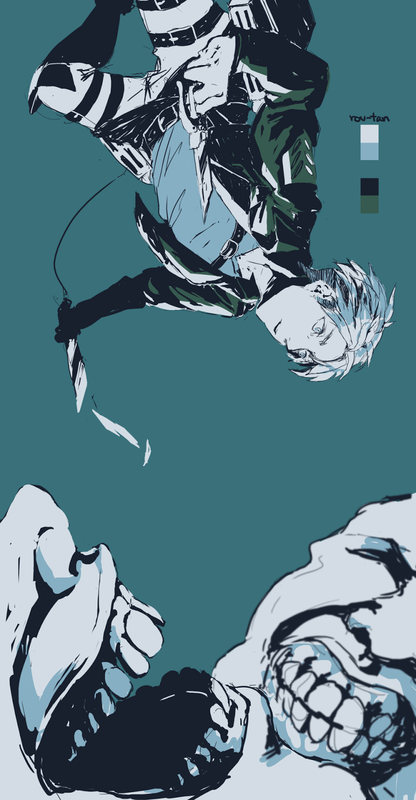 I want to do animation and illustration for stuff like that. Attach on Titan fan art by Rou. What is your next cosplay plan? Squats: I want to do Princess Tutu. I have been training in ballet for, I think, four years now so I can get on point and do that costume. Rou: I am thinking about doing Doll from Black Butler. She has a really pretty outfit and I have done mostly guys or tougher looking girls. I want to do something girly for once. I think it would be a really fun, hard challenge because I do not sew much. So let's try making a corset! Rou: Don't procrastinate. Never. Don't ever procrastinate. She got herself sick. Squats: Yeah I made myself sick because I finished the sword and the shield about two days before the convention. And I hadn't slept in a few days. So, *laughs* so don't procrastinate at all. And when you are on stage, a lot of audience interaction is better than standing on the back of the stage and not looking at the audience. You want to interact with them. Squats as Link. Photo by VFire. Procrastination... the doom of every cosplayer, which is partly why this post is late... That and homework, but maybe I procrastinated that in the first place. I want to thank Rou and Squats for giving their time on Sunday of NDK to come and do pictures and interview for the blog. I had so much fun with them and I am so sorry... I think I stole your fairies' safety pins... I noticed they were still in my pockets when I did my laundry!!! Thanks again!! I loved these girls! They were so cute and fun and their skit was awesome! Great feature!